Transparent, high-quality international standards are essential pillars of the global financial architecture. Their adoption and implementation improve the availability of high-quality financial information for stakeholders, investors, and the public, which result in greater economic growth, development, and accountability. This report is the first-of-its-kind to measure progress in adoption of international accountancy standards. 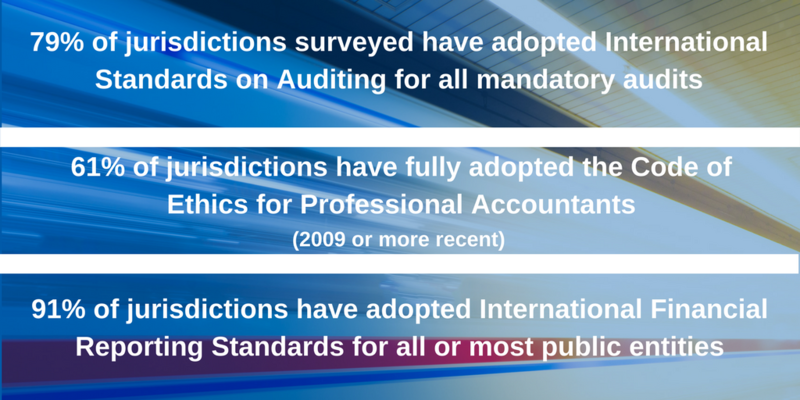 Among other positive findings, the report indicates that nearly 80% of jurisdictions worldwide have adopted International Standards on Auditing for mandatory audits, and more than 60% have adopted the international Code of Ethics for Professional Accountants.